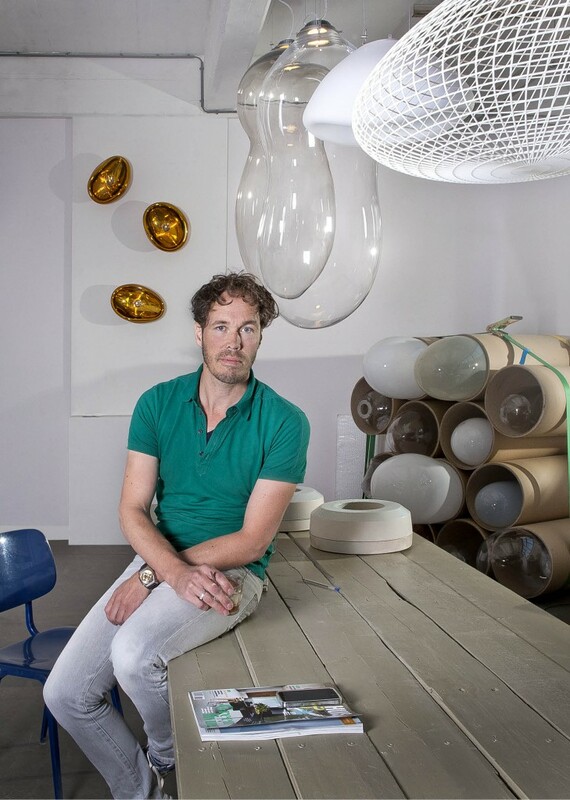 Alex de Witte is fascinated by the universal value of beauty and how to influence that. “It is fascinating to me how people have an overall communal perception of beauty. Like scientific studies have proven over the years, symmetry, repetition, balance and harmony with nature affect people’s idea of perfectness. As a designer it is my quest to try to influence the phenomenon of beauty being found in the beholder’s eye. I aim to play with general perception of beauty and to open up peoples minds in that process.” Alex de Witte constantly forces his own perspective and consequently that of the beholder’s, by twisting the perception of shape and form. Alex is pushing the boundaries of catching the perfect moment in the process of a new work. Is it the so called pregnant moment or the moment right after or even before, which shapes the perfect form? Exactly that playful balance in the process of each work, is what he translates into the ‘initial moment of things’. Every time, Alex first determines strict boundaries within a new design process. After this realm is set considering these limitations, he is searching for the right symmetry and balance that will determine the final form of the new design.